“Thank you so much for the great service at our recent wedding, we are absolutely over the moon with the photographs! It is going to be so hard to pick some for an album! The names and date were embossed below the photograph on the cover to create a classic cover. The page layout tells the story of the wedding from the best man and groom arriving up to the first dance. Although the wedding was on the 30th December, most of the photographs were taken outside at the Hilton Tree Tops, and some bridal portraits of Lesley and Fraser were taken at Johnston Gardens. Lesley and Frazer kew what to expect as I photographed her sister, Laura’s wedding in 2014 at Norwood Hall, and Laura and Craig also had a Graphistudio book, but I was still delighted to get an email from Lesley confirming how pleased she was with it. 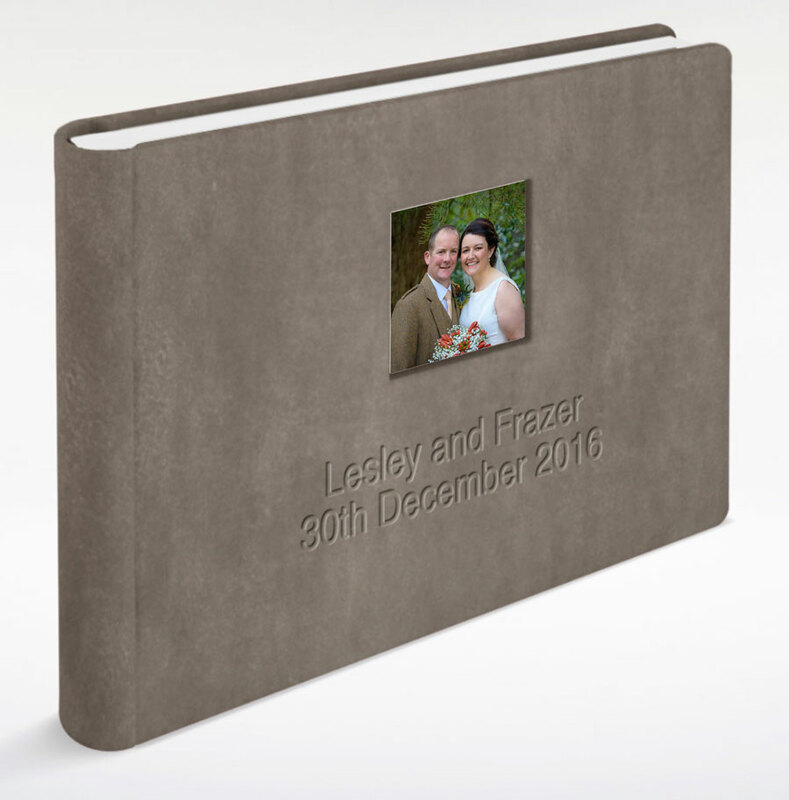 Just to let you know we love our wedding book. So happy with the quality of photos and how they have been put together. Delighted.